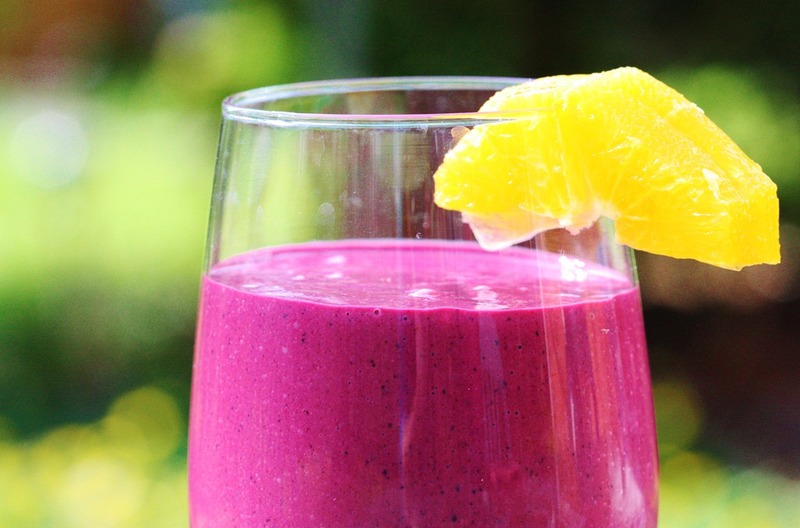 This meal-in-a-glass smoothie is bursting with berries and orange juice, healthful sources of carbohydrate and powerful antioxidants. Getting plenty of antioxidants-rich foods makes sense for active people, since free radicals are produced any time the body’s cells process oxygen. Per serving: 432 calories; 3 g fat ( 2 g sat , 0 g mono ); 15 mg cholesterol; 77 g carbohydrates; 20 g protein; 7 g fiber; 250 mg sodium; 617 mg potassium. Nutrition Bonus: Vitamin C (175% daily value), Calcium (63% dv), Potassium (18% dv), Magnesium (16% dv).